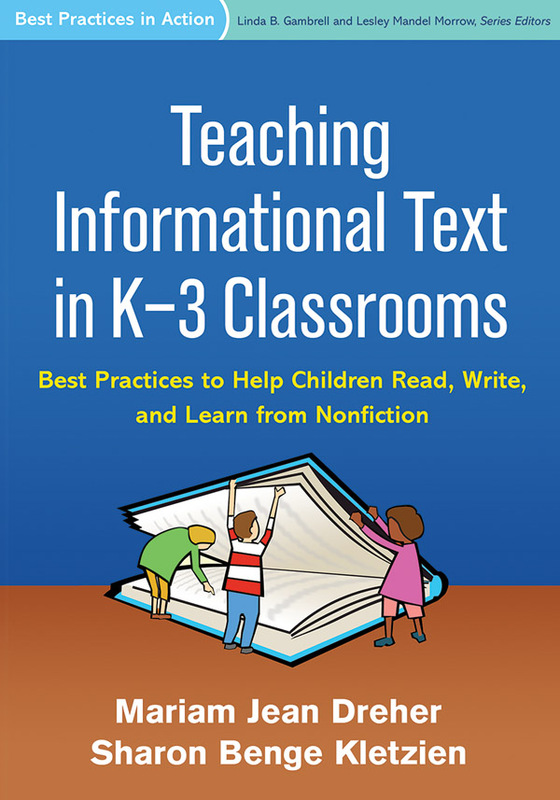 Specifically designed for K-3 teachers, this accessible guide describes ways to use informational text creatively and effectively in both reading and writing instruction. The book presents lessons, read-alouds, and activities that motivate students to engage with a wide variety of exemplary texts. Links to the Common Core State Standards (CCSS) are explained throughout. Key topics include how to build academic vocabulary, balance fiction and nonfiction, and address the needs of English language learners. Examples from diverse classrooms and end-of-chapter discussion questions and engagement activities enhance the book's utility as a professional development resource. Reproducible handouts and other tools can be downloaded and printed in a convenient 8½" x 11" size.